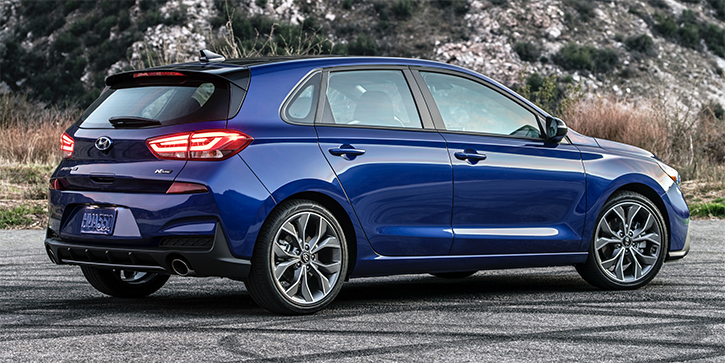 DETROIT—The sporty version of Hyundai’s Elantra GT compact 4-door hatchback is getting a name change and a few other updates for 2019. The new Elantra GT N Line—unveiled at the 2019 North American International Auto Show in Detroit—replaces the 2018 Elantra GT Sport model, and Hyundai says that more N Line models will be arriving later on future Hyundai products. N Line is the second new trim level/sub-brand that Hyundai has launched recently. 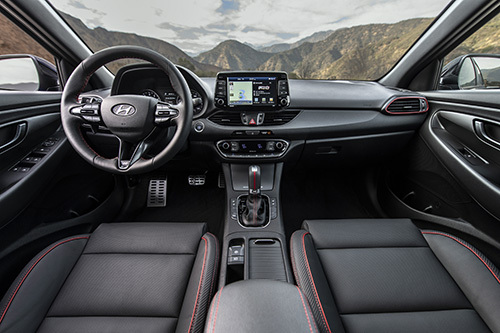 The new-for-2019 Veloster N—a hot-rodded version of Hyundai’s 3-door hatchback, with 275-horsepower and a focus on serious track driving—inaugurated Hyundai’s high-performance N sub-brand late last year. You can think of the new N Line trim level as “N-lite.” It’s similar to the relationship between Lexus’s F and F Sport models, or Audi’s S-prefix and S-Line models: not an all-out performance machine, but a spicier version of the entry-level vehicle that features sport-themed trim, sport suspension and at least a slightly more-powerful engine. The idea is to give a taste of the handling prowess and acceleration of a top-line performance model, but at a more accessible price point, and with better everyday livability. Hyundai says that N Line models “add sporty design elements and refined chassis/powertrain upgrades to existing Hyundai products.” The Elantra GT N Line certainly offers all of that over the base-model Elantra GT (which is carried over unchanged for 2019), but it also receives a few upgrades over the 2018 Elantra GT Sport it replaces. 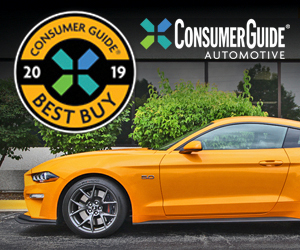 The 201-hp turbocharged 1.6-liter 4-cylinder carries over from the GT Sport (and the 6-speed manual or 7-speed automated manual transmission remain available), but the N Line’s chassis has been updated with new suspension and steering tuning, stiffer engine and transmission mounts, and available Michelin Pilot Sport summer tires on manual-trans models. 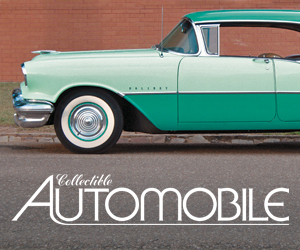 Unique N Line trim includes the front and rear fasciae, 18-inch wheels, red interior stitching and accents, and N Line badging inside and out. 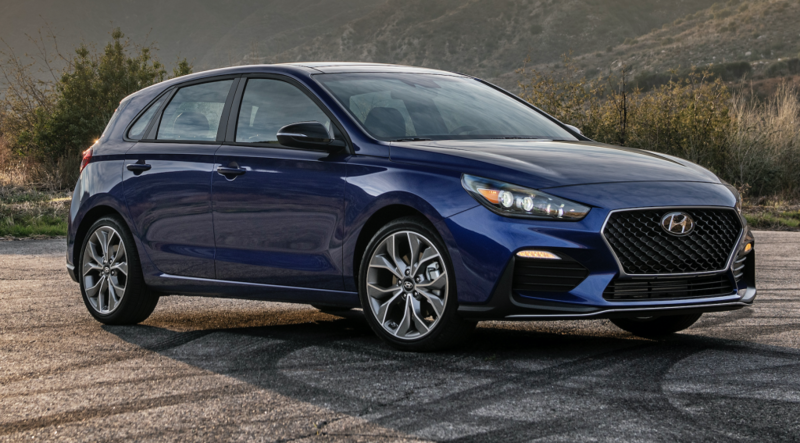 The 2019 Elantra GT line is on sale now. Base MSRPs are $20,450 for the automatic-only base model, $23,300 for the 6-speed manual N Line, and $24,400 for the 7-speed automated manual N Line. Nothing too earth-shaking here, but the strategy of tying in an “everyday sport” model to a top-line performance brand seems to have worked pretty well for other manufacturers in the past, so it seems like a logical path for Hyundai to take. In this case, N Line has the added benefit of fixing the somewhat confusing pairing of GT and Sport on the same vehicle. We’d guess that the Elantra sedan and maybe the Kona subcompact crossover might be the next Hyundais to get the N Line treatment… but we really have our fingers crossed for a full N version of the Elantra GT.